No matter your niche, pay-per-click (PPC) advertising can likely serve to provide your business with far-reaching gains. If your brand seeks to drive increased traffic, downloads, conversions, or sales, PPC advertising should be on your radar as a profitable marketing tactic. As the number of businesses investing their marketing dollars in paid search begins to reach critical mass, it is imperative that you understand how to properly dissect your paid adverts to maximize the gains your business can receive. With the wealth of content online showing how to measure PPC success, it can be challenging to decipher which metrics are most impactful, and which are less relevant to your campaign’s interests. 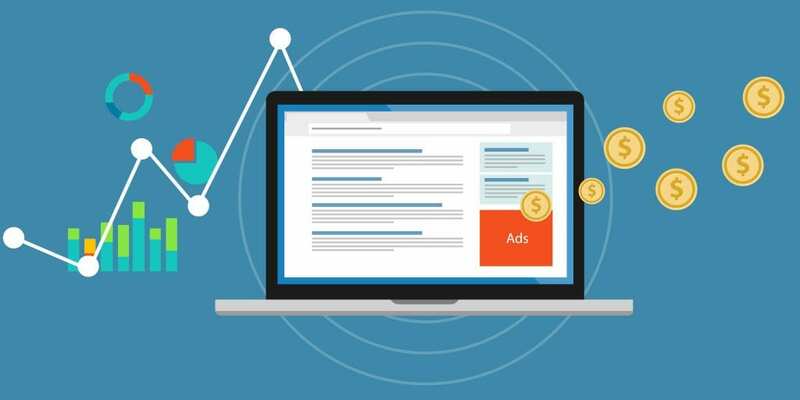 To help you sift through the noise and develop the most profitable PPC campaign possible, here are 7 key metrics to producing highly effective paid adverts. Impressions indicates how many individuals have seen your advert. It helps to provide a measure on the search volume a given campaign or keyword receives. This is vital for determining which keywords are prosperous and which are holding your campaign back. For instance, if a term you are using only generated 10 impressions over the course of a month, you know that it is a dud. If you have a different keyword that garners 1,000 impressions a month, you will likely want to optimize your campaign around this phrase. Your cost-per-click, or CPC, is the average amount that your brand spends on a single click to its website. This data can be analyzed at an account level, but it will likely serve a greater purpose by viewing the CPC for various keywords. A good benchmark for these metrics will greatly differ from industry to industry. For example, in 2017, the term “bail bonds” was one of the most expensive keywords, with an average CPC of roughly $58. Most terms you target will come in well below this, but be aware that your industry may have a sizable impact on pricing. This metric will not only tell you how much it costs to gain a click to your site, but also provides business owners with an estimated budget to reach specific goals. While your CTR is a vital metric to monitor, this one comes with a bit of baggage as it is found by leveraging two other metrics. Clicks are essentially the entire goal of PPC advertising; to get folks to click on something you want them to see. Clicks indicates the number of people who clicked your ad and landed on your site or optimized landing page. To get your CTR, take the number of clicks your campaign generated and divide that by the number of impressions received. Doing this will provide you with the number of people who saw your ad and clicked on it. This number indicates the quality of your advert or targeted keywords. If you have a low CTR, it could be due to poor copy or irrelevant keywords. Conducting a bit of A/B testing can help you determine the underperforming element. Conversions are the outcome you aim for a user to take. Depending on the goals you have established in Google Analytics, this could be engendering a phone call, gaining a download, acquiring an email address, driving a sale, or any number of other objectives. While this number is vital to monitor and measure as it indicates how many people are taking the desired action, it tells a much larger (and more informative) story when analyzing conversion rates. Your conversion rate is the number of conversions your campaign received, divided by the number of clicks it generated. The outcome is the percentage of individuals who clicked on your ad and proceeded to convert. This number indicates how well-optimized your campaign or landing page is. If folks are clicking through to your website, but quickly bouncing off, you might be targeting irrelevant keywords. If users land on your site, stay for a good while, and then leave, the next step(s) you want them to take may not be clear. Look at where and when you are losing your potential customers as this will give you an indication of where your campaign could use a little TLC. No matter your company’s definition of what a conversion is (based on your goal), this metric tells you how much it costs to gain each conversion. To determine your cost-per-conversion, divide the number of conversions generated by your campaign by the amount of money spent. While many consider this to be the single most important metric to monitor during a PPC campaign, there is one (depending on your goal) that will always trump all others. To determine your campaign’s actual return on investment (ROI), you need to be able to track a lead all the way from click to close. Additionally, you’ll want to measure the amount of revenue you earned per lead. While this may sound complex and daunting, it’s rather simple in practice. To track consumers through their entire journey, you will need a good customer relationship management system like Nimble or HubSpot. Many CRM systems like these integrate with nearly any PPC platform; this enables you to determine which campaign brought a customer to you. To establish your campaign’s ROI, just compare the sales data to the amount spent. No matter how you cut it, PPC advertising is a complex beast with lots of ins and outs. Running a prosperous campaign and improving your brand’s efforts moving forward requires a keen understanding of the most important metrics to monitor, how they work together, and lots of practice. Start getting some PPC experience by crafting compelling ads, avoiding the most common PPC pitfalls, and continually aiming to improve each of the above metrics and you can become a PPC superstar in no time. What is your biggest PPC challenge? Do you think there is an important metric that wasn’t mentioned here?